Below you can view all the highrises for sale in the Park Towers Hughes Center subdivision located in Las Vegas Nevada. 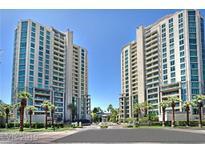 Listings in Park Towers Hughes Center are updated daily from data we receive from the Las Vegas multiple listing service. To learn more about any of these highrises or to receive custom notifications when a new property is listed for sale in Park Towers Hughes Center, give us a call at 702-323-5939. Recently remodeled w/no expense spared. This is a must see! MLS#2065094. BHHS Nevada Properties. All this plus custom furniture negotiable, smart automation, lavish gourmet kitchen, multiple bars, 2 fireplaces, media room, movie theater and much more! 3 parking spaces included! MLS#2062179. Luxury Estates International. For Those That Want The Best. MLS#1996167. Award Realty. 2 Covered Terraces. 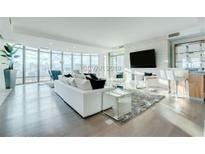 Panoramic Strip Views! MLS#1956873. Award Realty.